The Iconoclast takes over the London Prada boutique as part of a four pronged, worldwide assault. 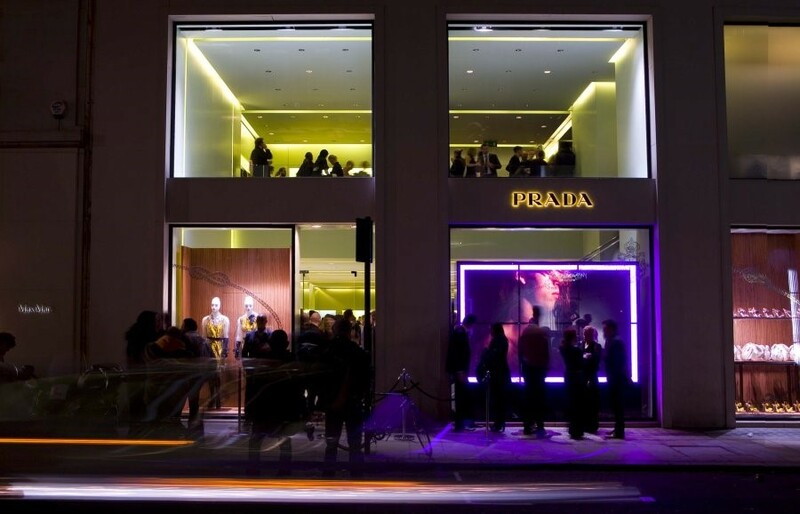 Last night at the Old Bond Street boutique in London, the Prada Iconoclasts project unveiled the second store to be made over by a fashion heavyweight. The Old Bond Street store received a makeover from the Love Editor, Katie Grand in anticipation of London Fashion Week and it was bold fluorescent lighting in highlighter brights that stood out in the two storey shop front; while inside guests were met with a more demure glow. Bringing freshness to the iconic fashion house, the project is set to continue on to Paris and Milan.